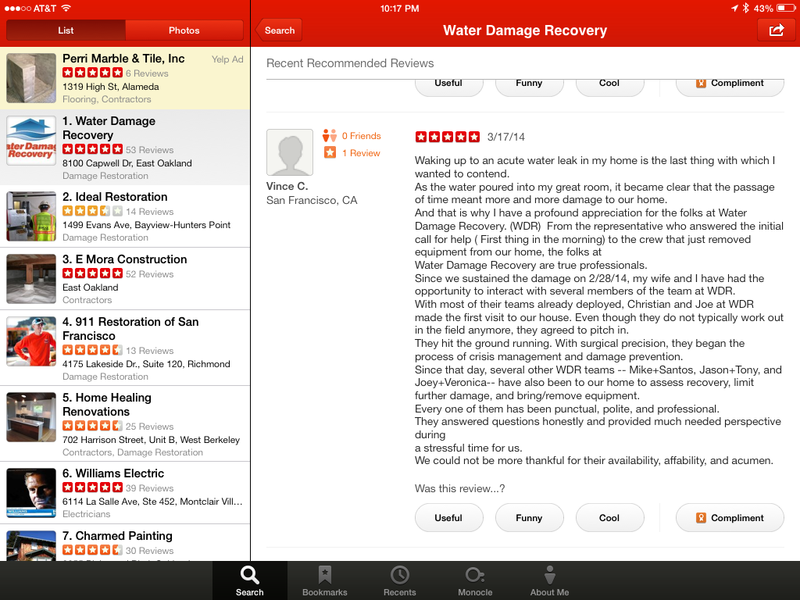 Another Great (5) Star Review on YELP! The kind words of praise are a wonderful thing after working so hard as a team to get someone’s home back to a pre loss condition. I do like this review. It introduces us to several members of our team and speaks to the level of professionalism and coordination we have as a team. I’ve been in the thick of it with all of these technicians and I trust and rely on them completely! These home owners were in very good hands from the start and numerous team members came into play on their behalf. This is how we are successful in providing emergency services restoration. We are a highly trained and well coordinated team working on your behalf to get your home back to a clean and dry state.